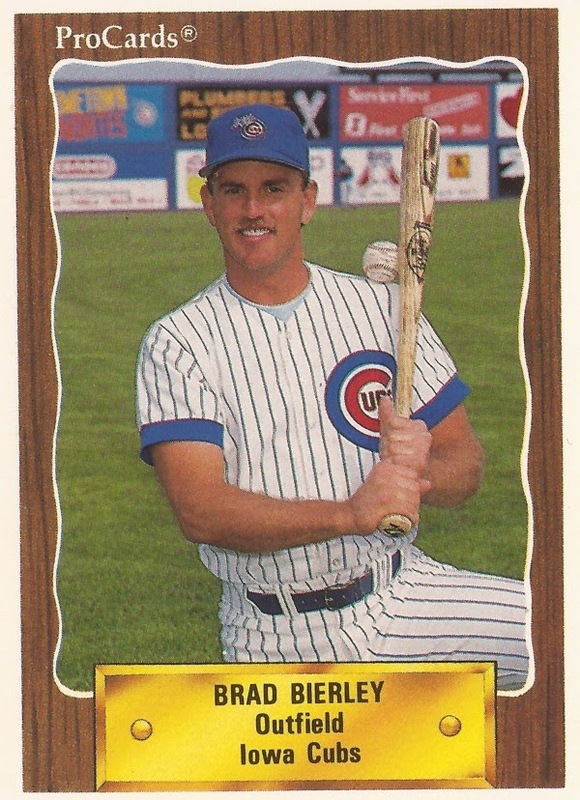 Brad Bierley had just missed an opportunity to be called up the month before, but the career minor leaguer was still up beat. He realized the Cubs had a number of outfielders, but he saw his chance coming, he told The Los Angeles Times in 1990. "I think I might get a chance to play before September," Bierley told The Times July 13. "The Cubs have a lot of outfielders. There are rumors they might trade away one of their (outfield) starters for a top-notch pitcher. That would create an opening for one of us to be promoted." Bierley was in his sixth season of minor league ball. He would have a seventh, but Bierley would never get that call-up. Bierley's professional career began in 1985, when he was taken in the fifth round of the draft out of Pepperdine. While in college, Bierley played the summer of 1984 in Alaska, for the Anchorage Glacier Pilots, getting two doubles and a triple in one August game. As a senior, Bierley hit 10 - 20 with seven home runs in one five game span, according to The Times. The outfielder started his career at single-A Visalia in 1985, making AA Orlando in 1986 and AAA Portland in 1988. The power he showed in college, Bierley continued that in the minors. He hit 22 home runs in each of two years at Orlando. In May 1986, he even hit two in one game, according to The Orlando Sentinel. But his time at AAA Portland wasn't as smooth. His power dropped to four home runs in each of his two years there. He finally asked for a trade, according to The Times in 1990. What he got was a trip to the Cubs, with even more players ahead of him. But he did get a look. In June 1990, according to The Chicago Tribune, Bierley was up for a promotion after Jerome Walton injured his wrist. It was either Bierley or teammate Gary Varsho. It was Varsho. After another season at AAA Iowa, Bierley's career in the minors ended, without making the majors.